–Gaius Plinius Secundus, aka “Pliny the Elder”. Pliny the Elder was a Roman author and natural explorer and philosopher in the 1st century AD. He is maybe best known for writing Naturalis Historia (Natural History), an extremely influential ancient encyclopedia. Pliny also might be considered a sort of ancient “wine critic”, having ranked the Campania region’s best wines. This quote, “In Vino Veritas”, is alluded to by Pliny in Natural History. Though he is not credited with having written this proverb, his mention of it in antiquity sheds some light on the ancient cultures and civilizations that make mention of it. This expression is referring to the observed truth-serum effects of wine: that when wine is consumed, the truth can’t help but come out…for better or for worse! 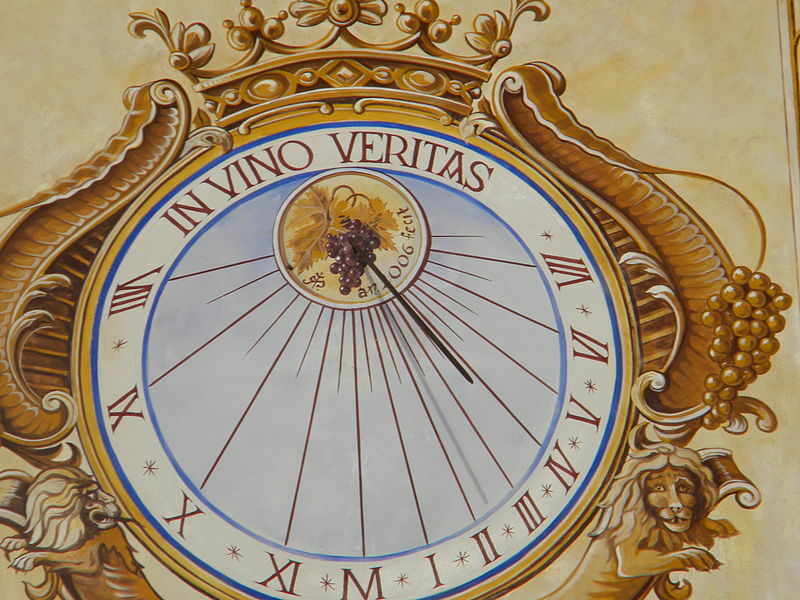 The quote is sometimes extended to: “In vino veritas, in aqua sanitas” (In wine there is truth, in water there is health). Pliny the Elder died during the infamous eruption of Mount Vesuvius in 79 AD while trying to rescue a friend and his family by ship. This entry was posted in Fun, Historical Stuff and tagged Ancient Rome, Famous Wine Quotes, in vino veritas, In Wine there is truth, Italian Wine History, Italy, Natural History, Pliny the Elder, Vesuvius, Wine Culture, Wine Proverbs, wine quotes. Bookmark the permalink.